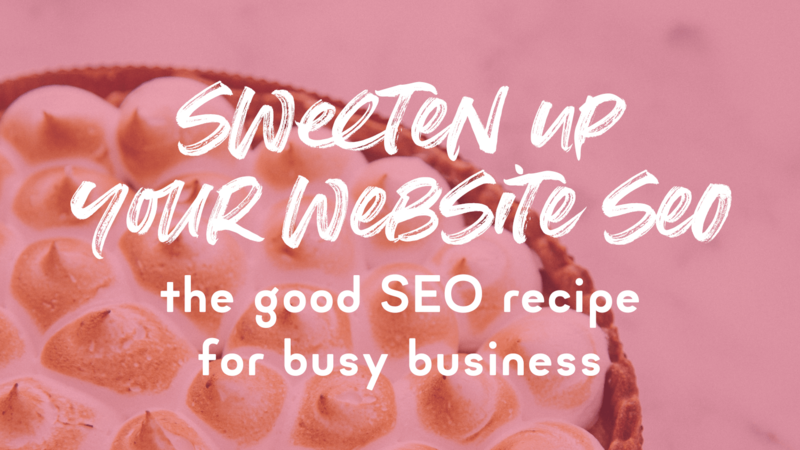 Sweeten up your website: The good SEO recipe for busy business. 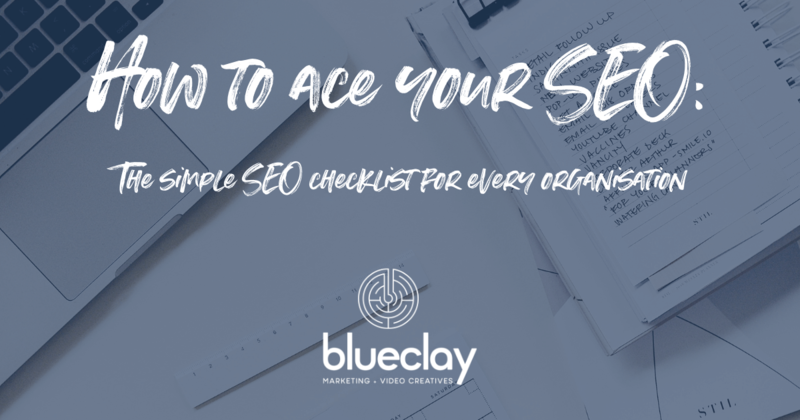 Are you one of the many people who heard about Search Engine Optimisation (SEO), did a little research, then quickly lost heart when you became overwhelmed with all the rules and recommendations? The art of SEO is not for the faint-hearted, that’s for sure… But don’t lose hope! 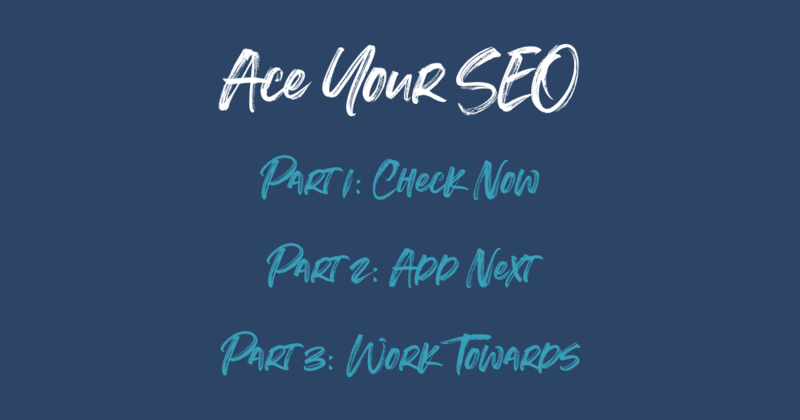 If you’re prepared to make small changes regularly, then you can totally ace your SEO and make real moves to increase your ranking of search engine results pages (SERP). Linking to external content from your own web content adds credibility to your copy. Credibility adds to your site’s perceived authority – an essential ingredient in every good SEO recipe. Google ranks content with authority more highly, so quality external links consistently helps improve your rank. Hyperlinks also give search engine bots a clue about the relevance of your page in relation to the content you link to. The more relevant your page, the more highly it’s ranked. Linking to credible sites drives traffic their way. Over time good linking practices can gain the right kind of attention for your site, and lead to some quality backlinks – more on this later! Check: does your content include hyperlinks to external content? Check your content for buzz words, jargon words, uncommon terms – search for high quality content that can help explain these, and create a link to it from your content. Are there sections of your content that could lead to more detailed research or content? Provide links to high quality sites that give more information around follow-on topics. Are you referencing a person, place, event, business, organisation, etc.? Find the relevant official site and link to it. Look for natural linking opportunities – statistics, supporting information, additional information, definitions. Make sure your hyperlinks lead to high quality, relevant content. Set your website to open external links in a new window or tab, so as not to draw users away from your site. Keep in touch with your stakeholders. What is your audience linking to or sharing? Take note of your observations and use them to create content that’s relevant and can link to topics of current or growing importance. Keep away from spammy sites – linking to these will damage the reputation of your site and eventually pull you down the rankings. Check your anchor text (the text that is underlined or ‘clickable’) – make sure it’s descriptive, succinct, relevant to the linked content, and gives a nod to your keywords where relevant. Internal links are those that simply link from one page to another within the same website. This helps visitors navigate easily… it’s the cyber equivalent of holding the door open for someone – it makes the user experience better, which engages people on your pages for longer, and ultimately works in your favour. These internal links are the hidden chocolate chips in the cookie dough… they just make everything richer and better! Search engine bots like internal links too – it helps them understand the structure of your site, and to work out what’s most important. Linking to specific pages or posts with key content on your site more often, particularly those with higher external traffic and views, gives Google a clear hint about the importance of that page, which can help boost its ranking. This is called contextual linking, and helps spread link equity to your whole site. Do you link to internal content on your own site? 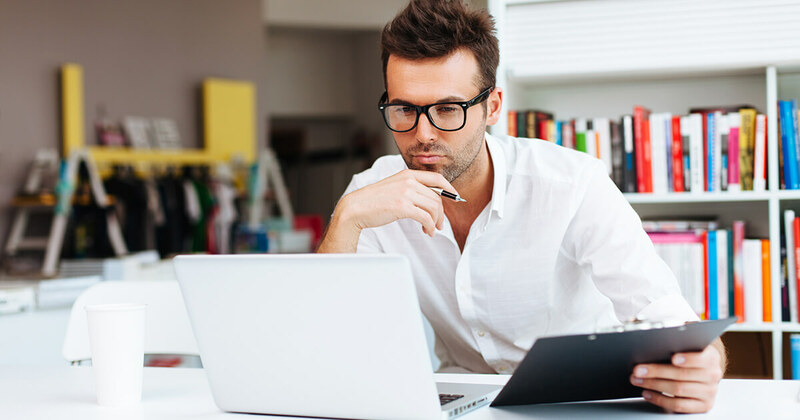 First, in order to link to other pages on your own website, you need to have a decent amount of quality content. If you don’t have a blog, start one. Focus on adding regular posts on topics that are relevant to your audience. Ensure that your content is utilising ‘categories’ and ‘tags’, or sub-categories, where possible, to help both users and search bots navigate towards more relevant content. Audit your current content, find places in the text to create natural links to relevant posts from within your site, add links as you go. Don’t link back to the homepage – this is already the strongest page on your site and its function is to help traffic flow on towards more specific and relevant content on your site. Share the love! Link deep – don’t waste time linking to top level pages that already have direct access to a main menu. Link deeper to create traffic flowing down to and across the lower levels of your site. 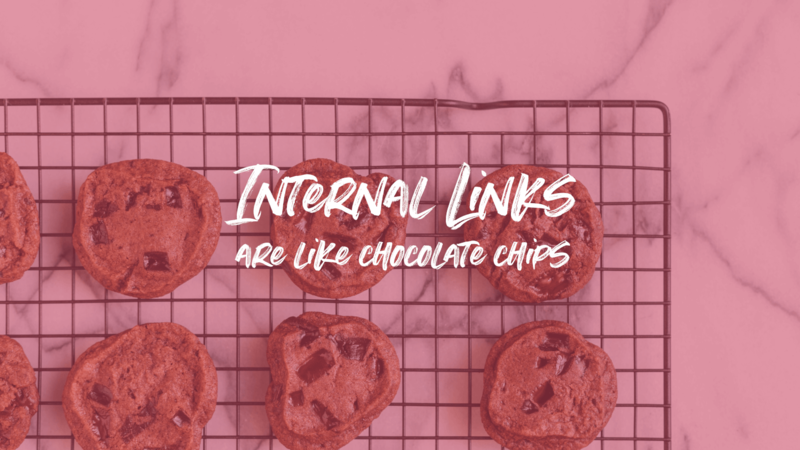 Use internal links that naturally fit with the linking post, and add value to the reader. Have you noticed how Google now automatically brings up images in your main search results page? This is because of alt text and image file names – text that helps the search bots understand the content of an image. Just like the aroma of delicious cooking will bring in the hoards from far and wide, alt text done right means there’s even more chances for people to find you and get some clues about your content. Do your site’s images have alt text? NO IDEA – HOW DO I CHECK? 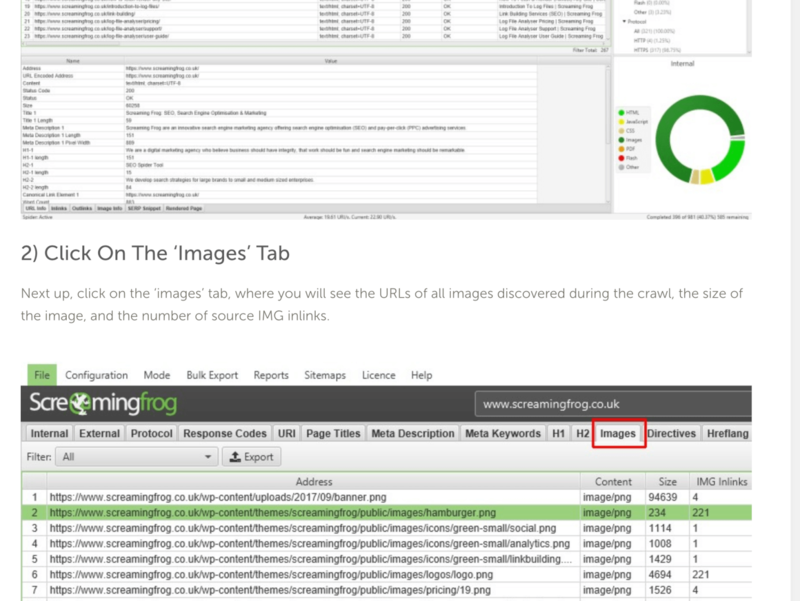 Double-check which images do or don’t have missing alt text using this free Image Alt Text Checker from screamingfrog.co.uk. This Alt Text Checker also comes with a simple tutorial to help work out which images do or don’t contain Alt Text. Audit your web images and start to populate the alt text fields on your web building tool, or provide your results from your alt text check to your web developer. Avoid keyword stuffing in your alt text – the text should read as a clear description of whatever the image depicts, using keywords naturally. If the image is unable to load, or the user is visually impaired, visitors should be able to tell what it is. Write a clear, reasonably detailed description is helpful for search bots to gain an understanding of the image and match it with appropriate search terms. Check out these examples. Generate text that references the image’s context, the content topic, and if able, your keywords. Don’t waste space on ‘picture of’ or ‘image of’ – just get straight to the description! Make sure your alt text is detailed and specific. Avoid single words – instead of just ‘chocolate cake’, try ‘Adrian Zumbo’s cherry cake from the MasterChef’s Mystery Box challenge in Season 7, April 2018’. Check that you’ve kept your alt text to fewer than 125 characters. Don’t forget to check the buttons on your site – if a form has an image of a button to click, the alt text should specify ‘click here’, ‘submit form’, or whatever is appropriate. People love a website that displays well on both desktop, and on their mobile or tablet devices – therefore search engines look for website responsivity as well. Having a website that responds and displays beautifully across every device or platform is essential to SEO. It encourages people to stay on your page for longer, and to interact and engage with your page more effectively. 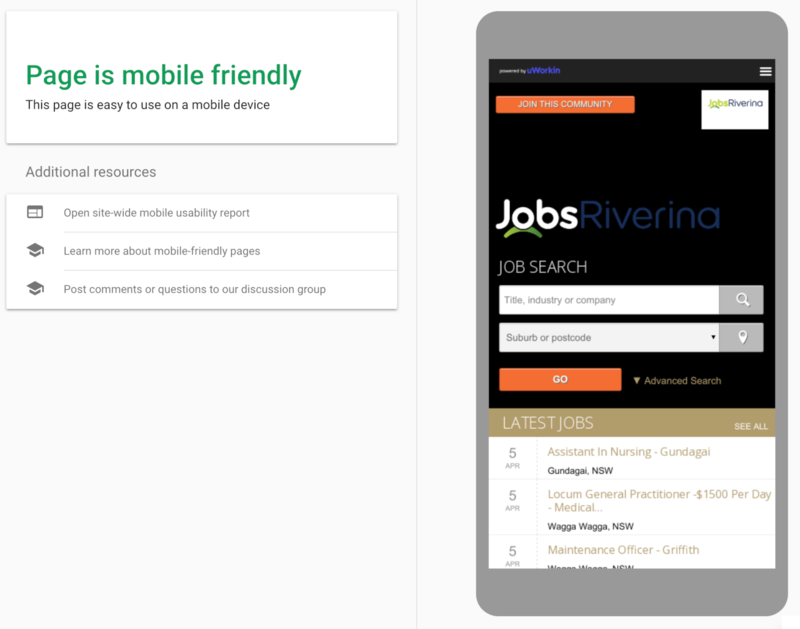 Check your site on your mobile and your desktop, or try Google’s Mobile Friendly Test. Does your website display correctly across multiple screen ratios and devices? Utilise your web builder platform to ensure that you have edited or adjusted the mobile version of your site, otherwise the tool may generate a mobile version automatically, and it may not be ideal. If you utilise a web developer, get in touch with them and make this a priority. When developing a mobile-friendly version of your site, consider the checklist below to guide you. It’s still good to review how user-friendly your site is on mobile, as there may be things you’ve missed. Utilise the checklist below to guide you as you review these sometimes overlooked aspects of website responsivity. Stick with a simple design strategy overall. Pay particular attention to your menu button – it should be easily visible in the layout, and obvious as a menu (for example, some menu symbols can be confusing for users). Steer clear of multiple menus, or sub-menus on different areas of the page – keep it all in one place to help the user navigate easily. Utilise a tool like TinyJPG to ensure images load quickly and easily and look great on all devices. Ensure buttons are easy to press for smaller screens. Ensure your text is readable on a smaller screen. Ensure that share buttons or blocks of content don’t overlap or hide other areas of content, forms or your call to action). Think about your audience, the device they are using and why – then make modifications to your mobile layout appropriately. For example, users on mobiles are more likely to be looking for your contact information to call you from the device, so make sure your contact details are readily accessible when viewed from mobile. 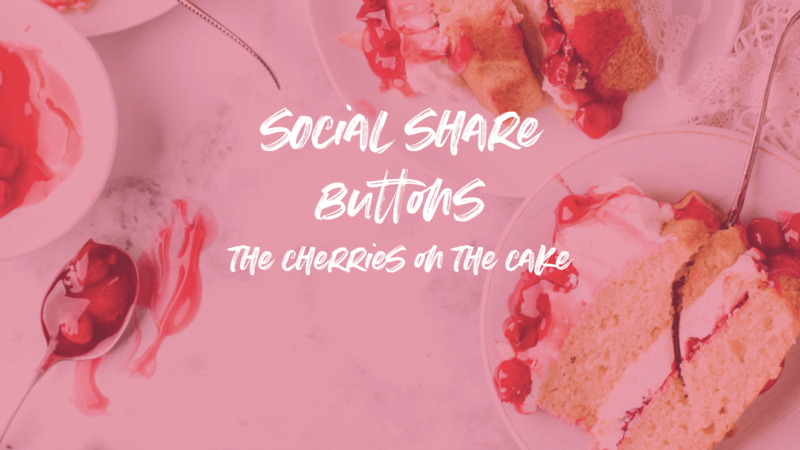 Social share buttons might seem like a nice little cherry on the cake, but in fact these little gems are an important secret for SEO success. Although not considered a direct ranking factor for Google, social share buttons have important implications for how your site ranks in the SERP. When someone uses a share button to recommend content from your site, it creates a flow-on effect that Google begins to notice. Traffic to your site from other sites is boosted, which helps give Google a clue about the relevance of your content. Also, social sharing buttons create backlinks to your site, and encourage others to notice and link to your content, both of which are important for your ranking (more on this next time). Do you have social sharing buttons on your website? It’s time to let the world know about your amazing content! On each of your posts, ensure you have social sharing buttons activated, and the relevant accounts authenticated. Users will find your button more easily at the top of the page, but many sites include buttons at both the top and the bottom to capture both opportunities. Keep sharing buttons in close proximity to the content being shared, to avoid confusion or accidental interaction. Beware the overshare… You don’t need social sharing buttons on your contact page, for example. Thoughtful placement of your social sharing buttons shows your readers you’re genuinely interested in their engagement, not just interested in spamming them with share buttons. Review the placement of your share buttons. Make sure they’re visible, and located next to some compelling content. Check out some great examples of social share button placement at CoSchedule.com. Wherever you place them, make sure they’re prominent. The twitter Click To Tweet plug-in is a great example of a prominent social sharing opportunity that takes advantage of the user’s engagement with the content at an optimum time. Which platforms are most relevant to your audience? Utilise our free User Persona template to help understand your audience, and determine which platforms they most engage with. On which platform/s do you currently have a good level of engagement and following? Encouraging sharing on those means you could start to leverage this following to reach more in the same audience. These five, bite-sized (and easy-to-digest) chunks of SEO strategy will continue to help set you up for long-term success when it comes to increasing your site’s ranking. Next time we’ll look at five more fixes to work towards in your SEO strategy. Remember, if you try and do it all in one day, SEO can quickly become overwhelming. The trick is to give yourself time to play the long-game and incorporate SEO into your regular routine. 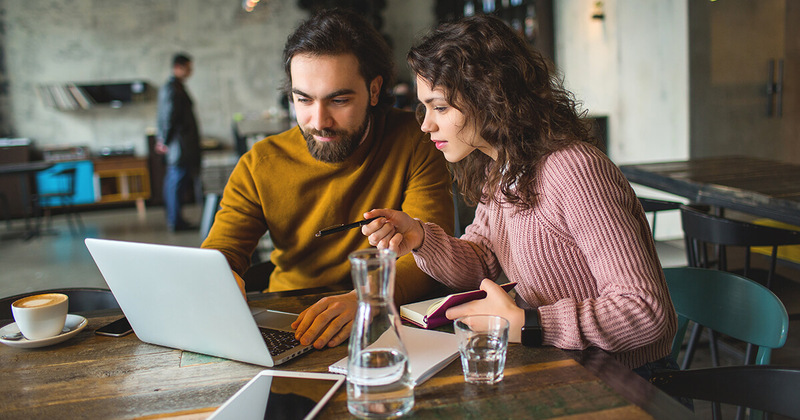 At the end of the day, quality content that engages your audience is the failsafe way to build your site’s relevance and credibility – and it just so happens that we love great content! 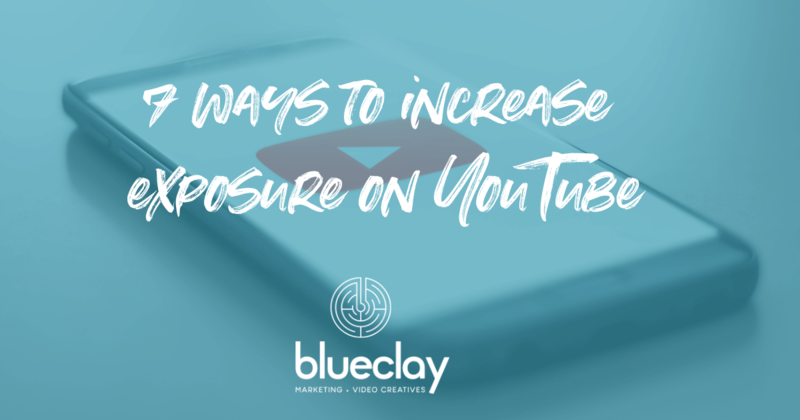 If you’d like to know more about working with Blue Clay to deliver content that is on point and helps you reach your goals, get in touch today!